I should start by saying I have a love-hate relationship with these fish. As you can see, they are very attractive fish. 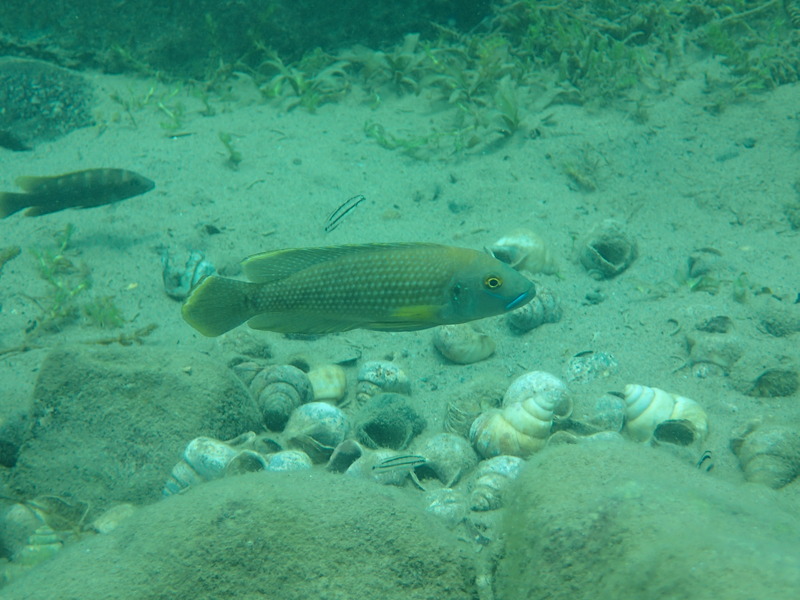 At a certain level, they can be considered ecosystem engineers for the shell beds they construct; shell beds that a number of species (including last weeks cichlid of the week) rely on. Territorial males collect shells and defend patches of shell bed. Successful males maintain a harem of females who live inside the shells where they lay their eggs. Less successful males are on the lookout for great shells they can steal. As I said, territorial males are much larger than females, and they don’t grow that big overnight. 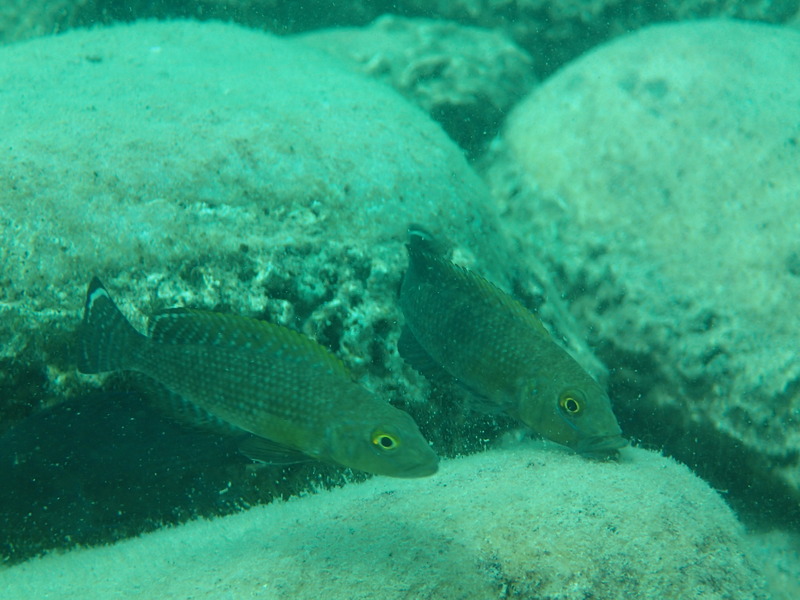 Juveniles form schools sometimes numbering in the hundreds that move all around the lake floor where they essentially pillage the territories of other fish. As “the mob” descends onto territories, they all start picking up mouthfuls of sand, eating whatever they come across, send the other fish into a panic, then leave just as fast as they arrived. They do a fine job of messing up observations, and they also have a gift for getting caught in our fence nets. And it’s never just one that gets caught in the net either. In the end these are pretty cool fish, in spite of their gift for frustrating me.